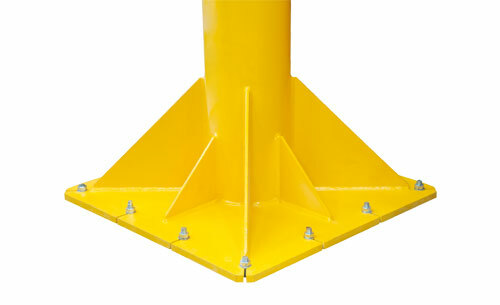 This type of attachment is to be used with the utmost care, when creating a concrete foundation would be impossible. This solution requires a slab of a sufficient depth and quality, which should be verified in accordance with the maximum moment indicated. In any case, we deny all liability regarding the strength of this type of attachment. These base plates cannot be removed from jib crane pillars.